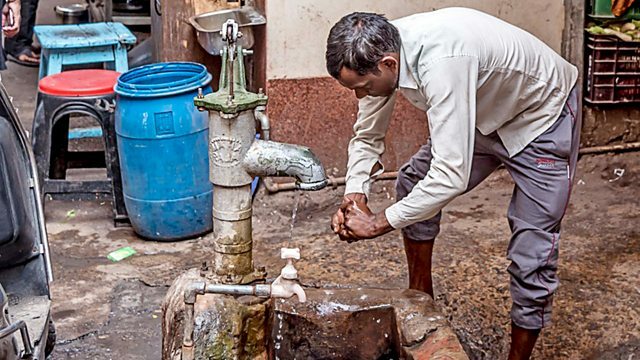 Parts of India are facing acute water shortages and the consequences can be deadly. Kate Adie introduces correspondents' stories from around the world. The scramble for water in the slums of New Delhi can mean waiting in line each day for hours to fill up from government tankers - as well as occasional violent disputes. "Say no to a Chinese government" and "We are Chinese" - at two different presidential rallies earlier this year Olivia Acland heard very different reactions to China's growing influence in Sierra Leone. Sultan Qaboos bin Said Al-Said ended the isolationism that characterised his father's rule and has cultivated new relationships with the Oman's neighbours as well as Britain and the US. During his rule the capital Muscat has also been transformed into a glisteningly modern city, says Caroline Davies, and more change could soon be coming. Ibrat Safo returns to his native Uzbekistan to find that the family reunions he enjoyed as a child are no longer possible - the Turkmenistan-Uzbekistan border now divides his relatives. And Nick Thorpe takes a luxurious train journey across the Balkans and into the region's history.